Take careful consideration the next time you want to bring your four-legged-friends out to play at a public dog park. Unfortunately, a terrible tragedy at Bay Area Dog Park in late January has dog owners hesitant to visit the park with their pooches for fear that it could be dangerous. A two-year-old Staffordshire bull terrier died at VCA Animal Emergency Hospital after being shot three times at close range while playing at Bay Area Dog Park on Sunday, Jan. 25. The shooter, a man who claimed that his life was threatened by Diesel’s aggressiveness has not been charged with any crime, as the investigation is still underway to determine whether the man was within his rights. Licensed to carry a concealed weapon and based on his account of what happened, the man did not immediately appear to have broken any laws in this shocking event. “I acted in self-defense,” were the magic words that kept the shooter from being immediately charged for what he did. His claim has prompted a thorough investigation by detectives to learn whether his statement was indeed valid and his act was justified, or if no one was truly endangered and thus, he had no right to unleash his firearm. Surely, no one expected a shooting on that sunny day at the park, where many people and their pets had come to enjoy the fresh air, but many people feel strongly that it didn’t have to end the way it did. Perhaps Diesel was feeling antagonistic toward the other dogs that day and self-protection was necessary. Or perhaps, the shooter acted unreasonably and should bear the consequences. Either way, the day ended badly and now Diesel’s owner is missing his beloved dog. Without all of the facts, speculation on the matter does no one any good. We can’t bring Diesel back, or undo what has been done, but we can work to restore confidence in the community so that dogs and their owners can enjoy public parks without fear of similar situations. BARK9, a non-profit organization committed to keeping Bay Area Dog Park up and running, offers their condolences to Diesel’s owners but makes a point to direct other dog-owners to significant information regarding the park’s use, rules, and recommendations in an effort to prevent incidents like this one. BARK9 has provided pertinent material to dog-owners in our community that, if understood and followed, should ensure nothing but positive experiences for dogs and dog-owners alike at public parks in the future. Dog owners should familiarize themselves with the park itself. Know the rules of the park, posted just outside the park gates, and follow them. Speaking with others who are already accustomed with the park is helpful as well in knowing what to expect. 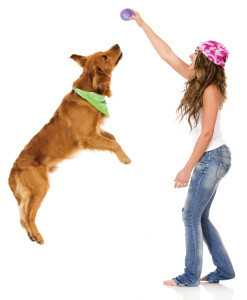 Dog owners need to know and understand their dog’s personality and temperament. If you know your dog to be very dominant or aggressive toward other dogs, then a public dog park is not the place to let him enjoy the outdoors. If your dog is shy or nervous around other dogs, it is a good idea to introduce him to a dog park during non-busy times only, and often enough that he can acclimate to the surroundings there and feel less anxious. While public dog parks can be a lot of fun for many dogs and their owners, some dogs simply never get used to the experience and are better off avoiding them. No matter how much you want to bring your dog to the park, understand what can happen by ignoring your dog’s potential to not mesh well in social interactions with other dogs. If you notice your dog incessantly bothering another dog, remove your dog from the situation by bringing him to another area of the park. Take action before another dog owner has to ask you to. If there is any concern that someone might not be following park rules, or he or his dog is causing harm, call for help from the park constables or the park rangers. It is not wise to confront a situation in a combative manner or to argue with another dog owner. Call authorities to handle issues. Dog fights can and sometimes do happen at public dog parks, so it is crucial to understand how to react. If a fight is not over quickly, and you feel urged to intervene, pull the dogs apart by their hind legs only. Please visit www.bark9.com for more specific information before visiting a dog park with your dog. This type of information is important to know and understand so that dog-owners can feel confident about bringing their dog out to play, and so that tragedies like Diesel’s can be avoided.